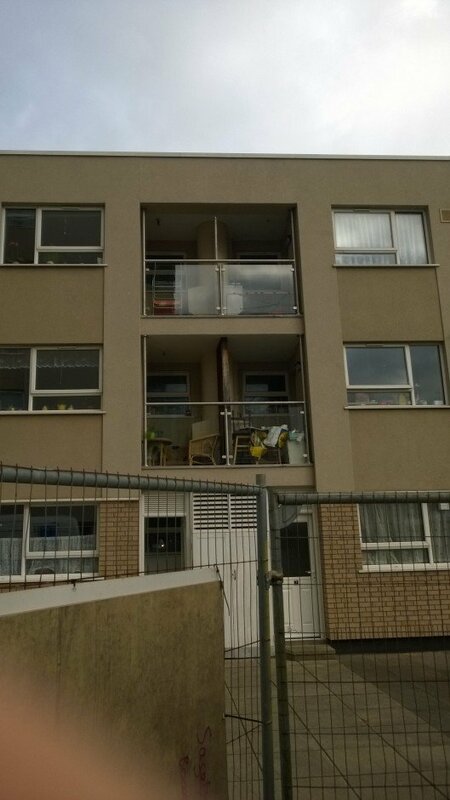 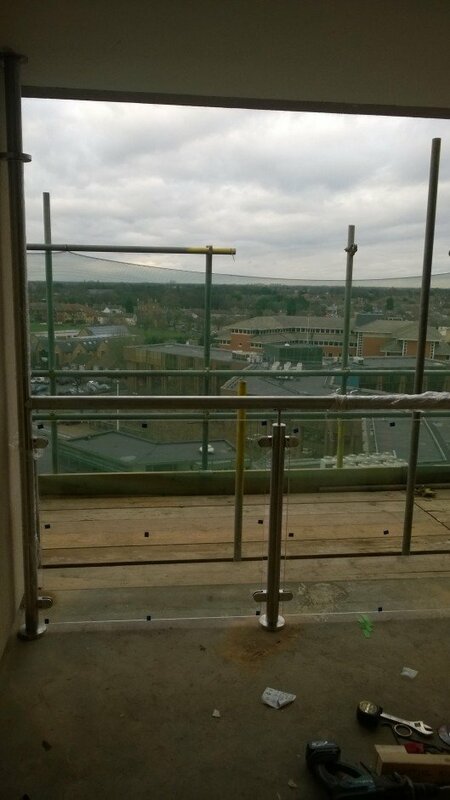 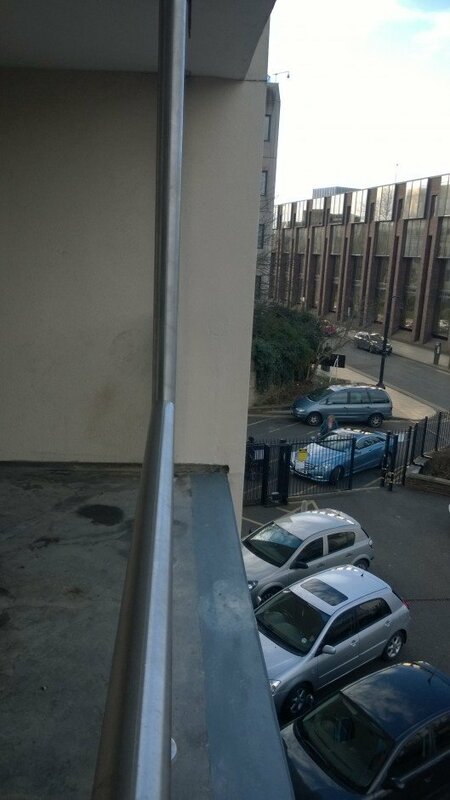 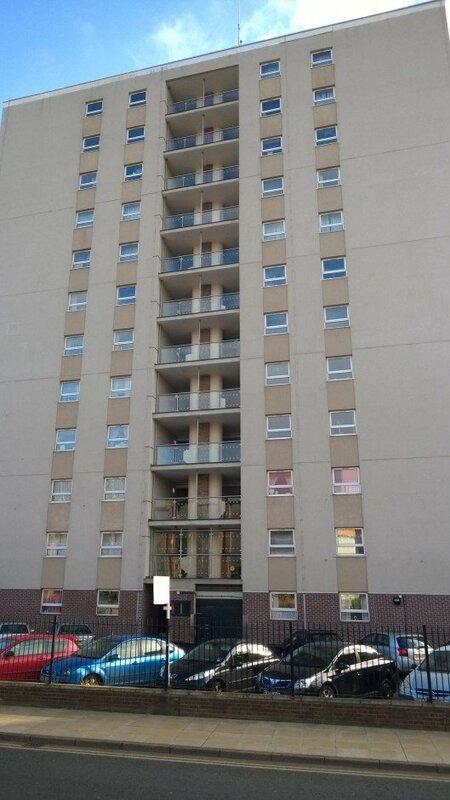 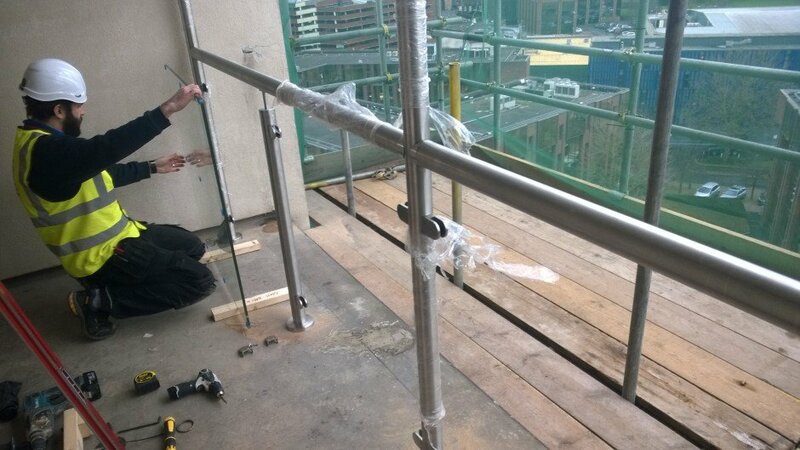 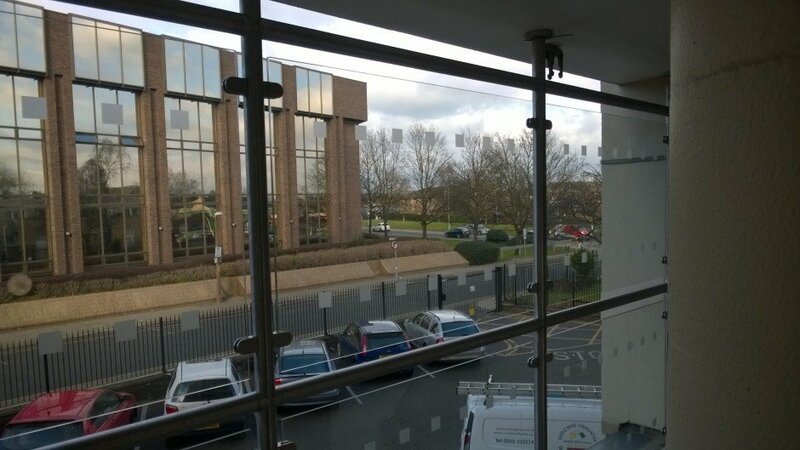 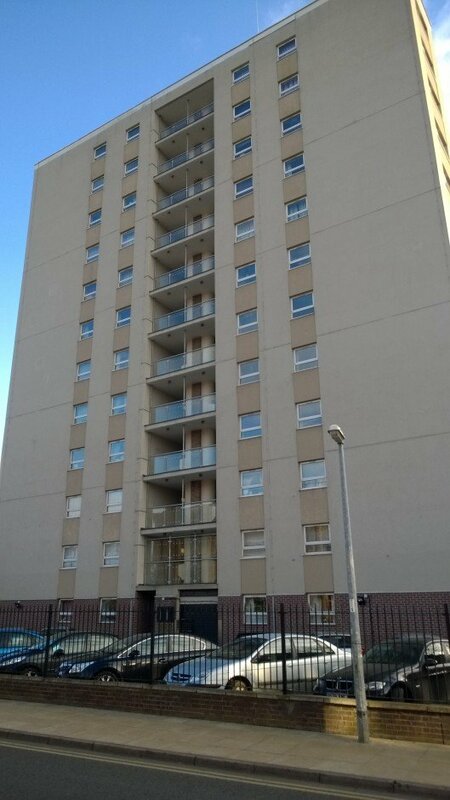 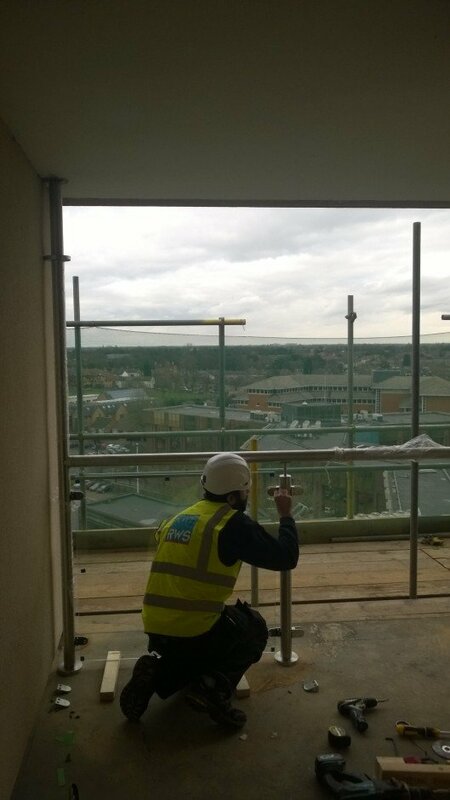 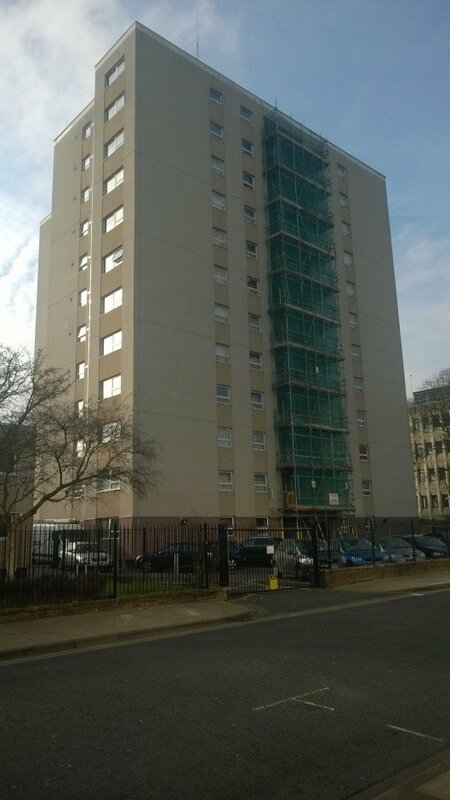 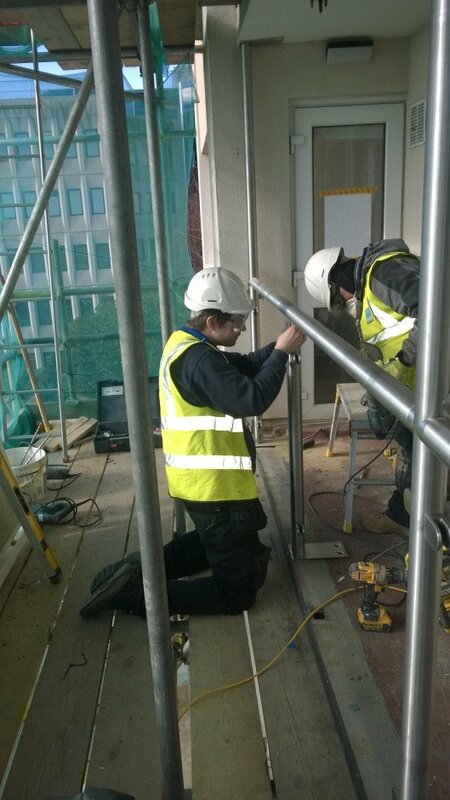 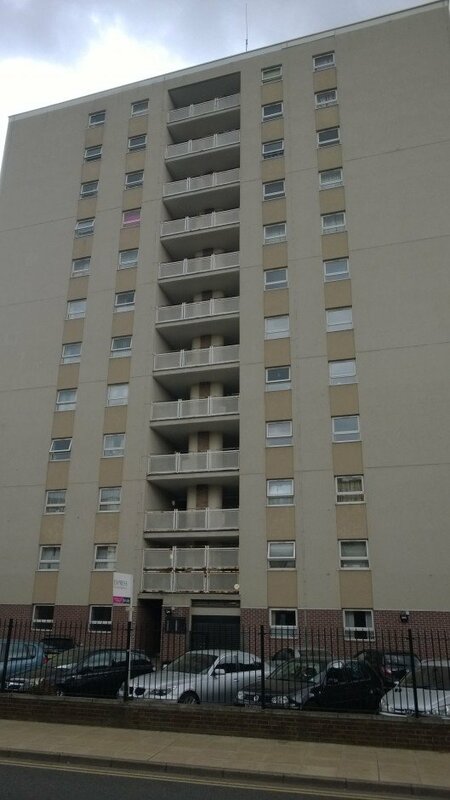 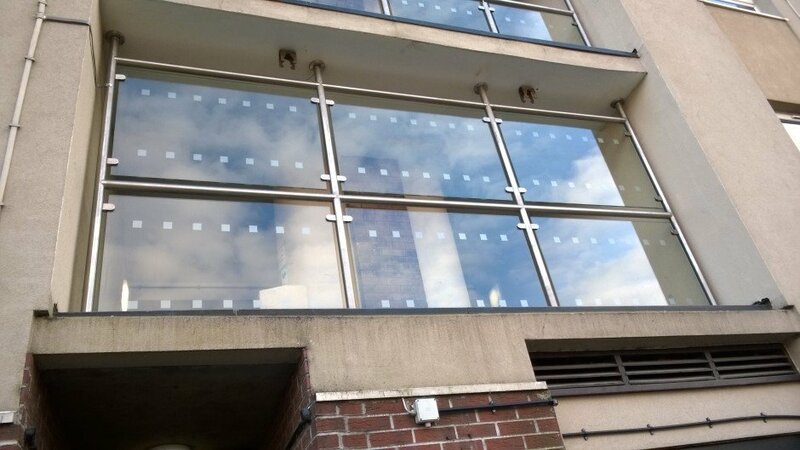 RWS Ltd was approached to design and install a new stainless steel balustrading system for a high-rise. 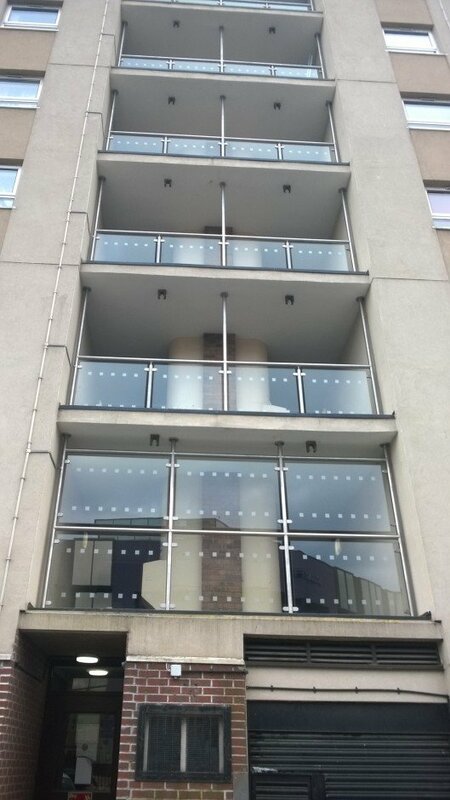 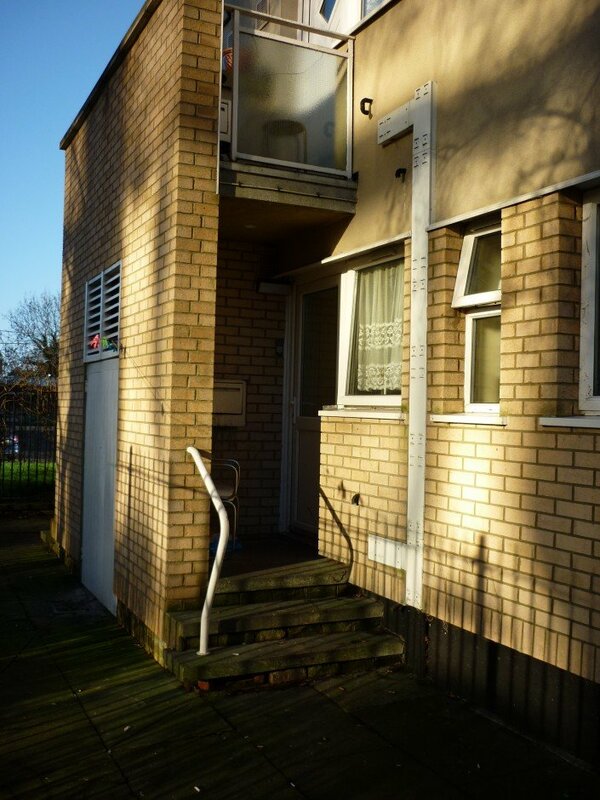 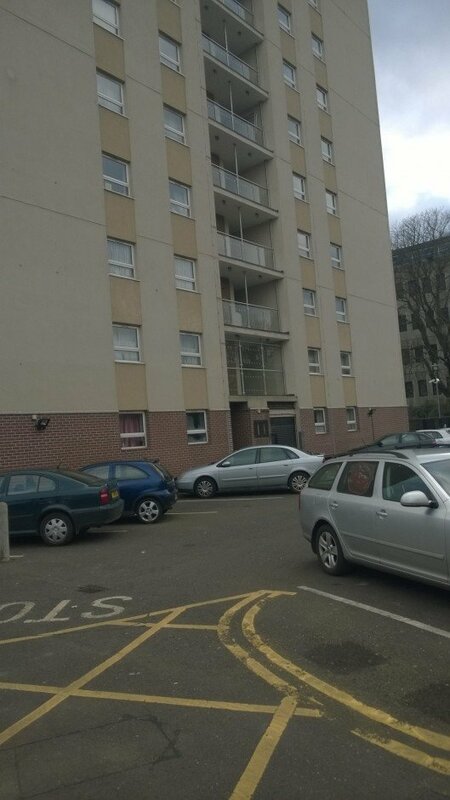 residential apartment block in Peterborough City Centre. 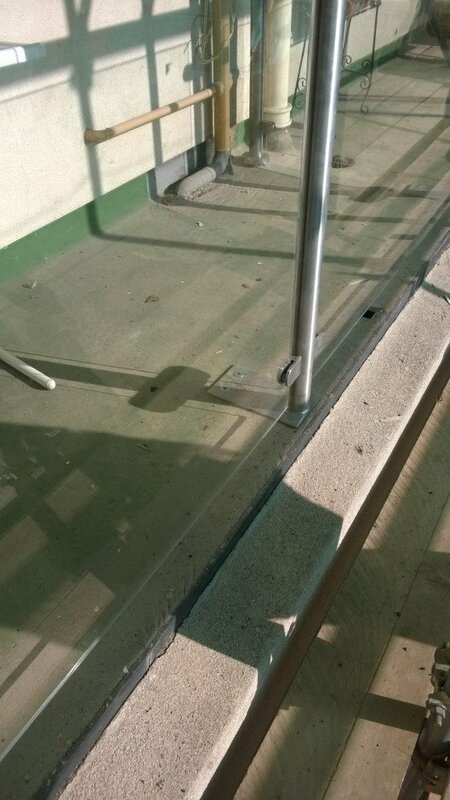 The original structure was built in the 1950s/1960s. 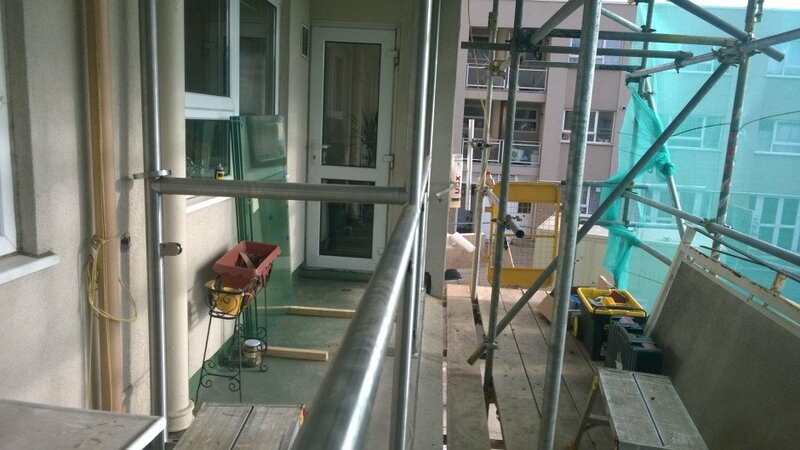 It had undergone major refurbishment and remodelling to bring it up to a standard that meets today’s stringent regulations. 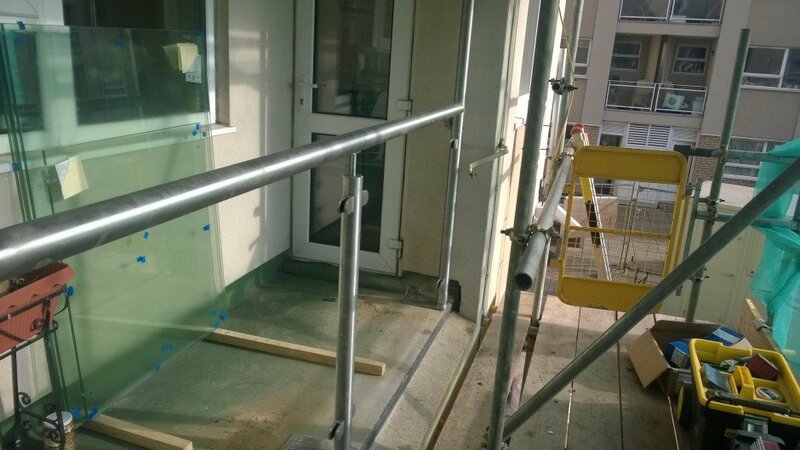 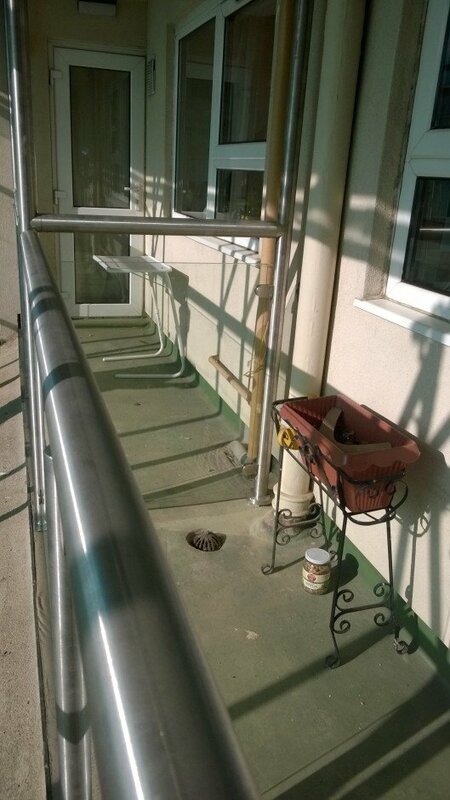 The final piece of the jigsaw was to replace the existing ‘mild’ steel balustrade. 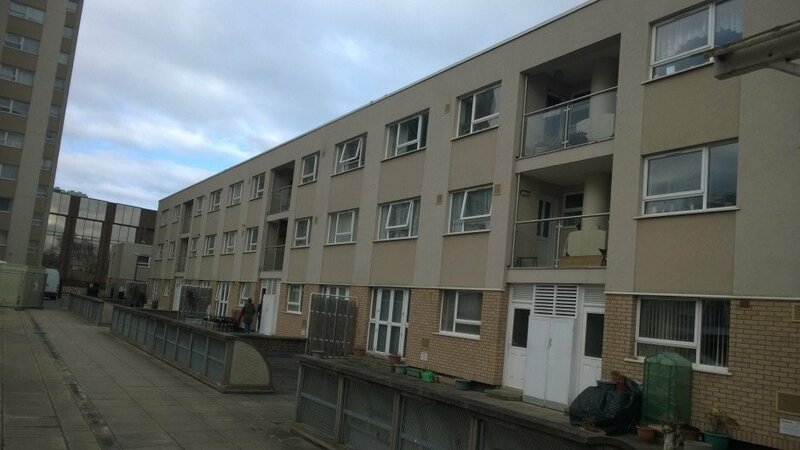 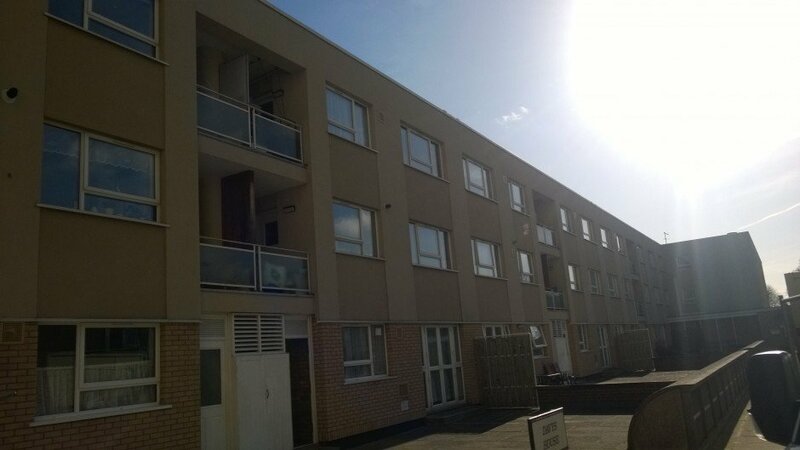 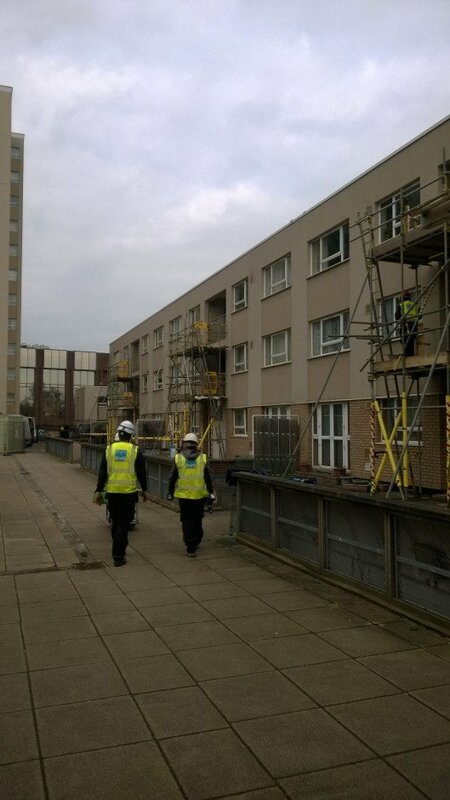 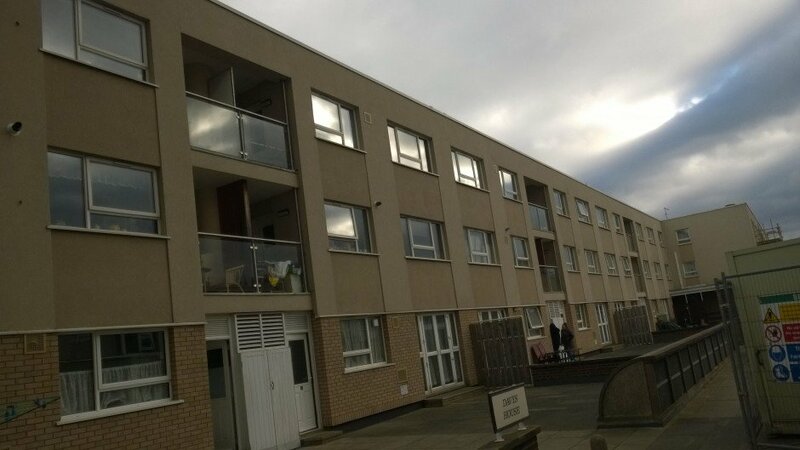 Prior to commencement of works, RWS Ltd undertook in-depth investigations and surveys on the existing structure. 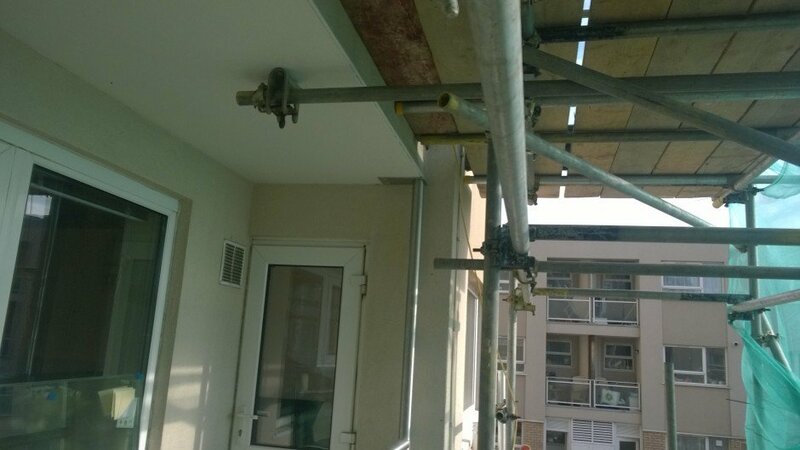 This was to find a suitable fixing method and to find the best solution for keeping the balusrading as aesthetically-pleasing as possible. 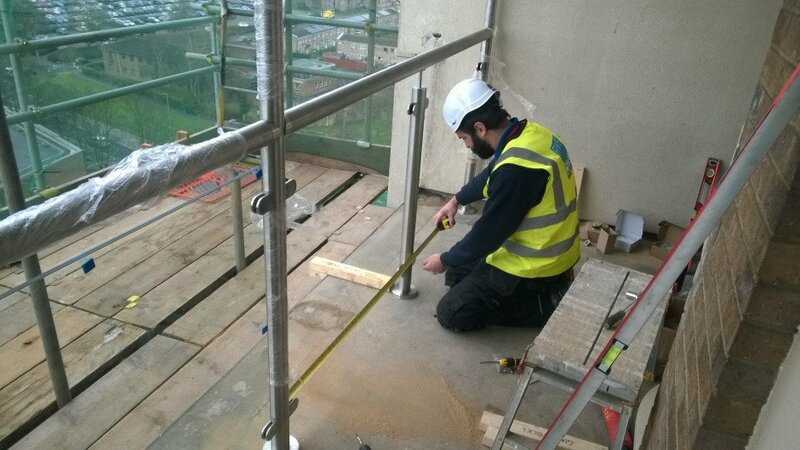 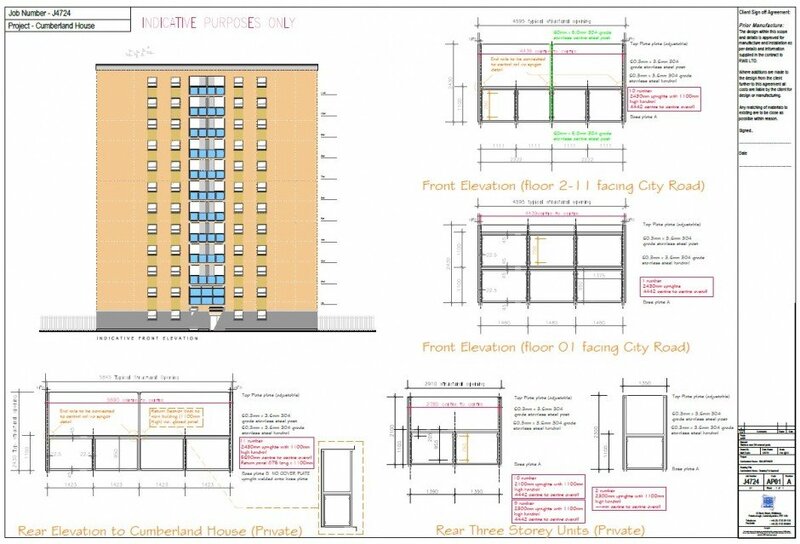 RWS worked closely with structural engineers to design a robust package suitable for this project. 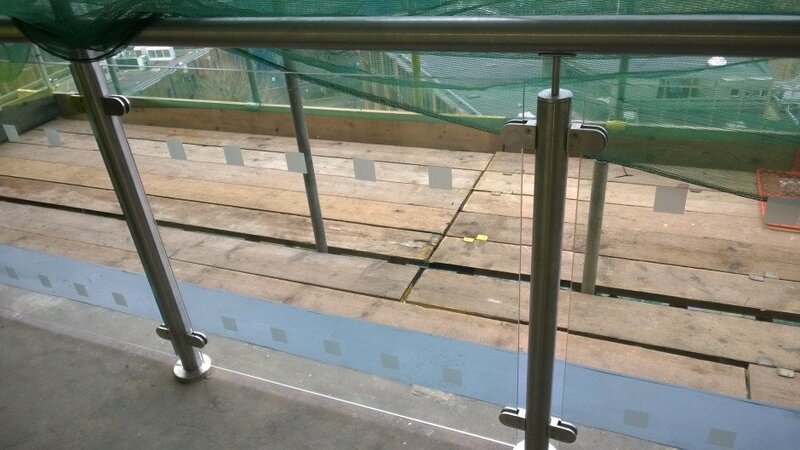 Stainless steel balustrading was specified, complete with 11.5m toughened-laminate glass panels suitable for the communal areas. 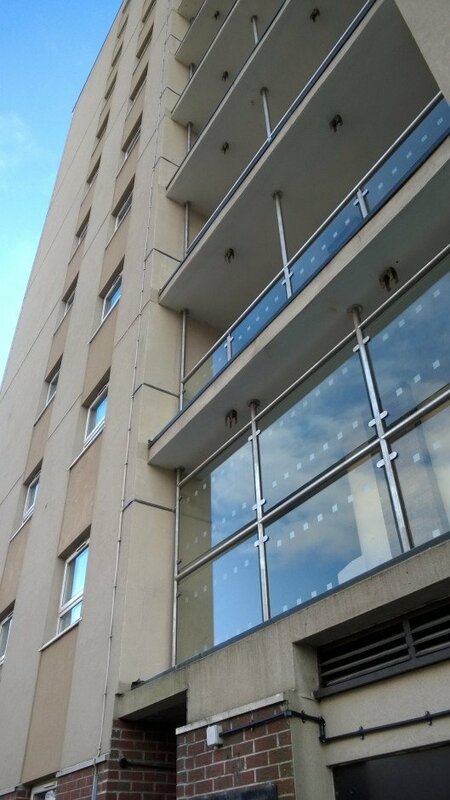 The stainless steel finish was lightly polished to give a satin effect, designed not deteriorate over time, and still look uniform in the elevation. 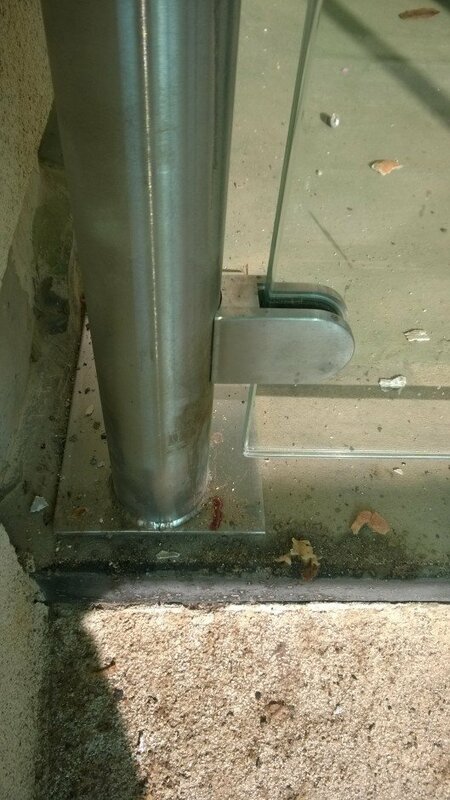 Tight deadlines were set by the client. 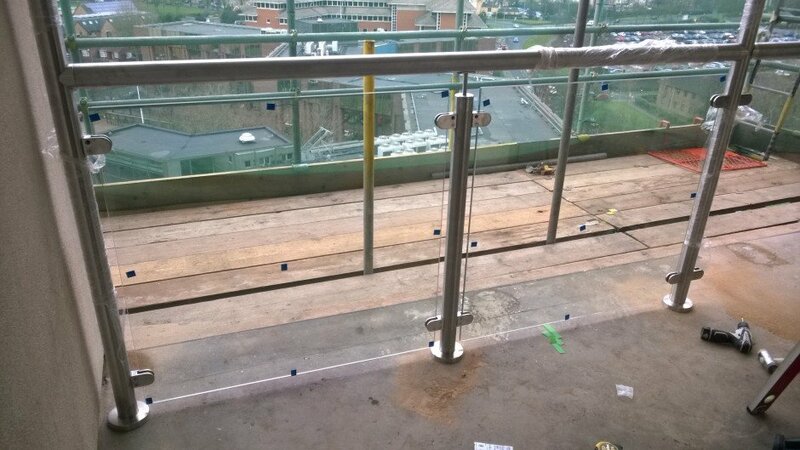 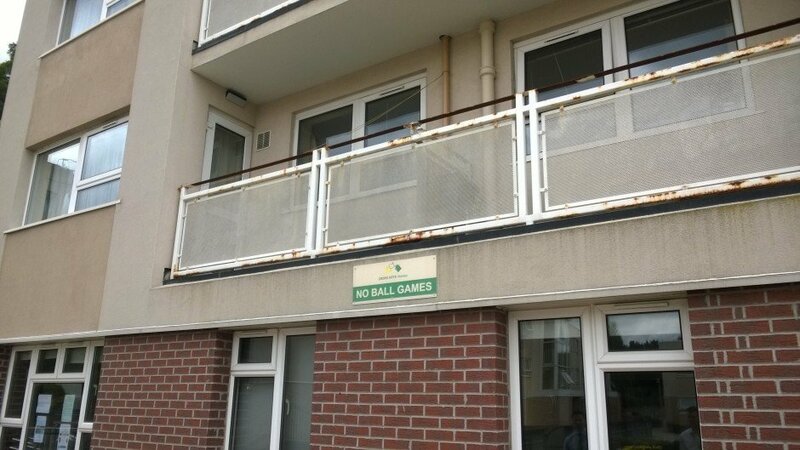 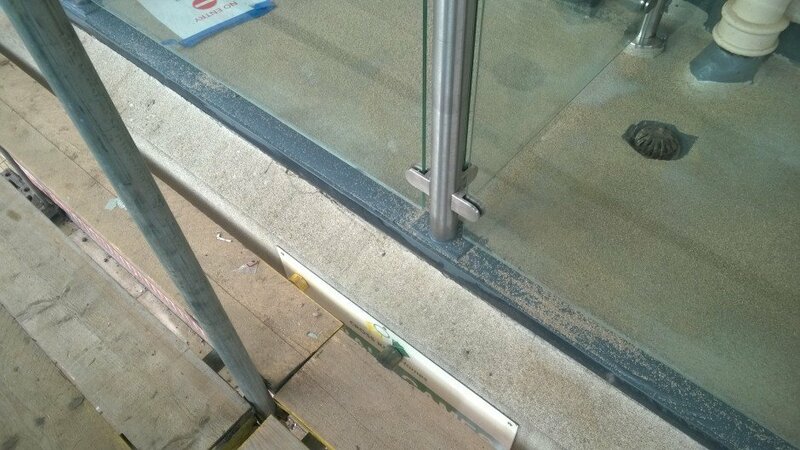 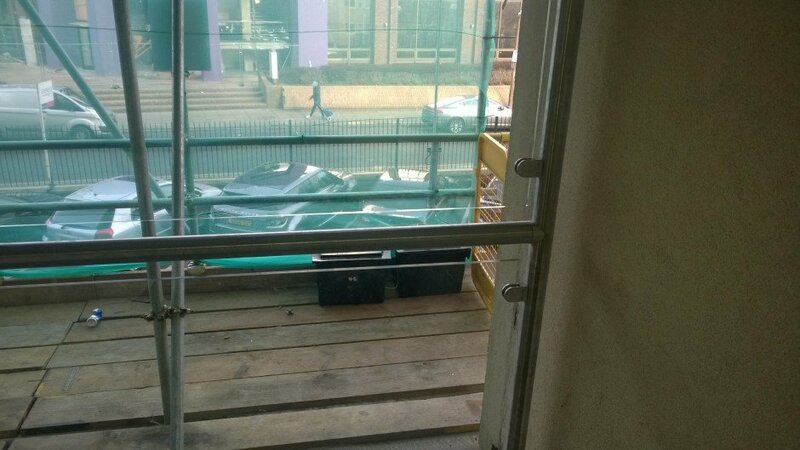 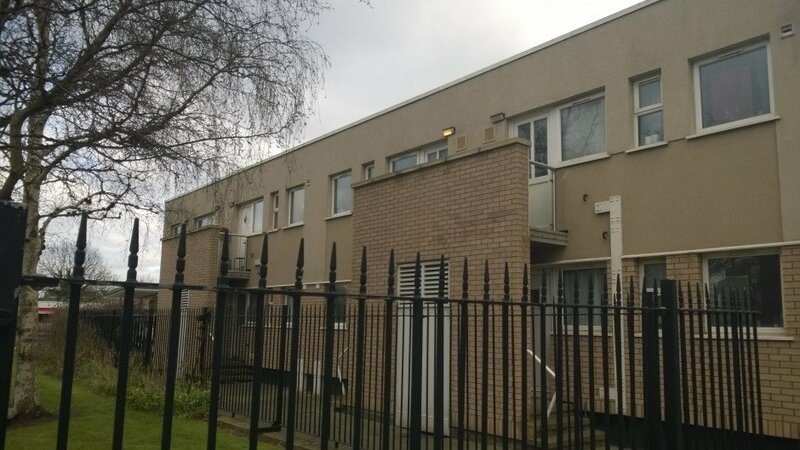 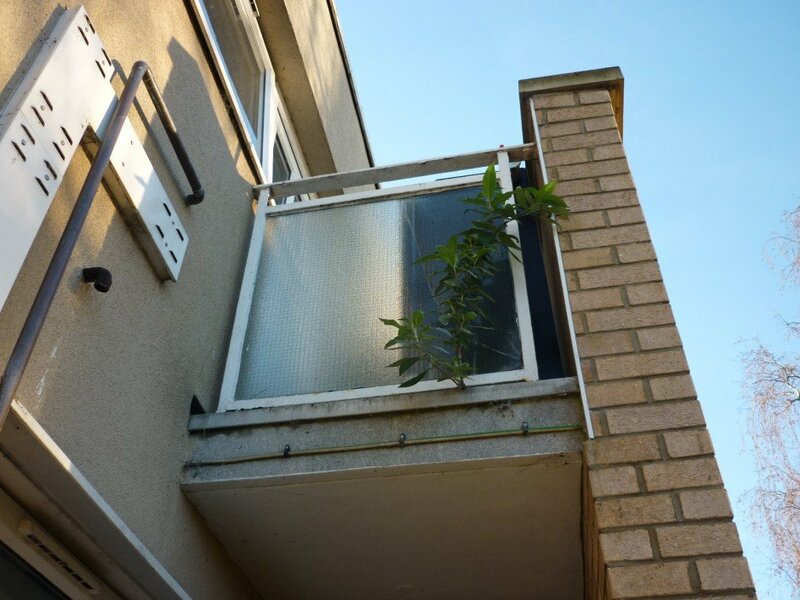 RWS developed an installation program for the stainless steel balustrades and liaised with tenants to ensure they understood what stage of the project RWS required access and for what duration. 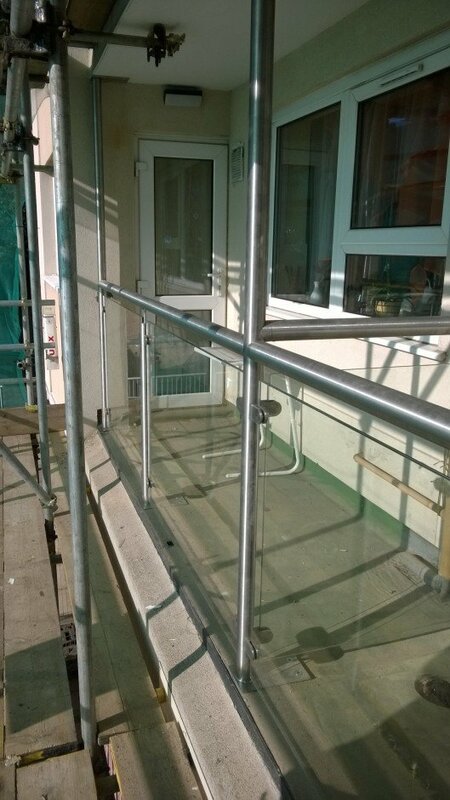 Access was created via independently-designed scaffolding to the front and rear elevations. 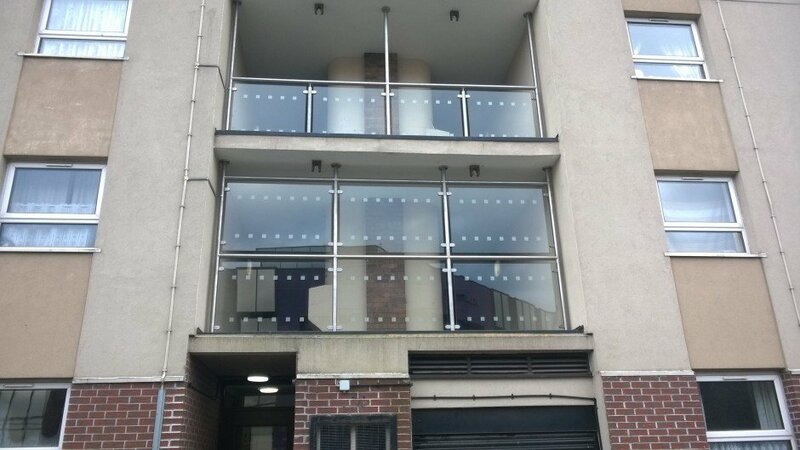 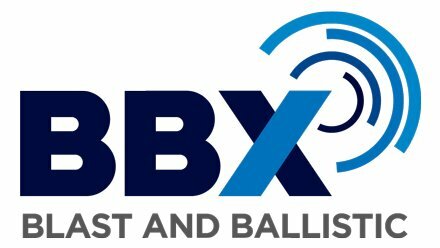 Complete with access and independent alarm systems. 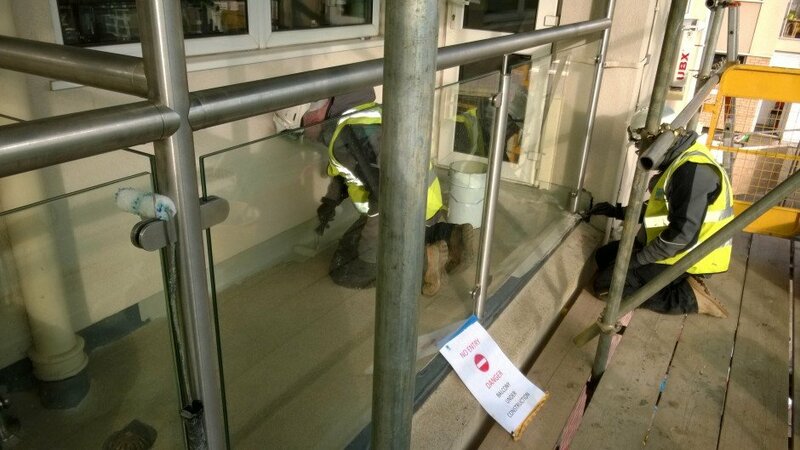 Finally, the desired effect was achieved for the Client – a unique, yet modern-looking balustrade system that provided a pleasant facade to the building as well as a robust barrier. 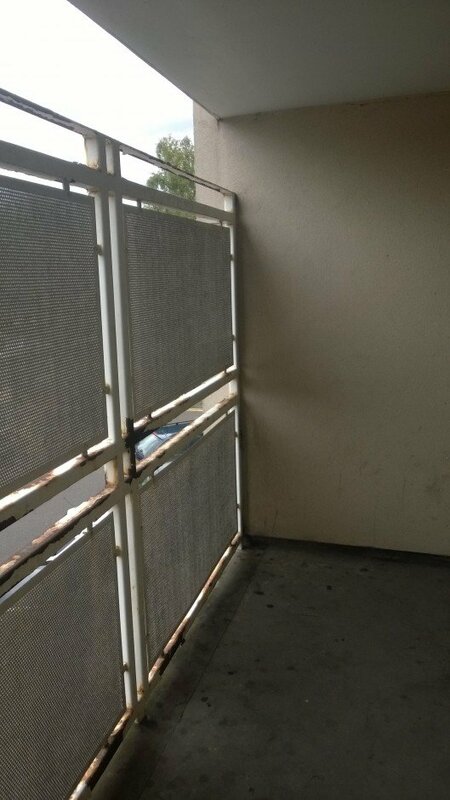 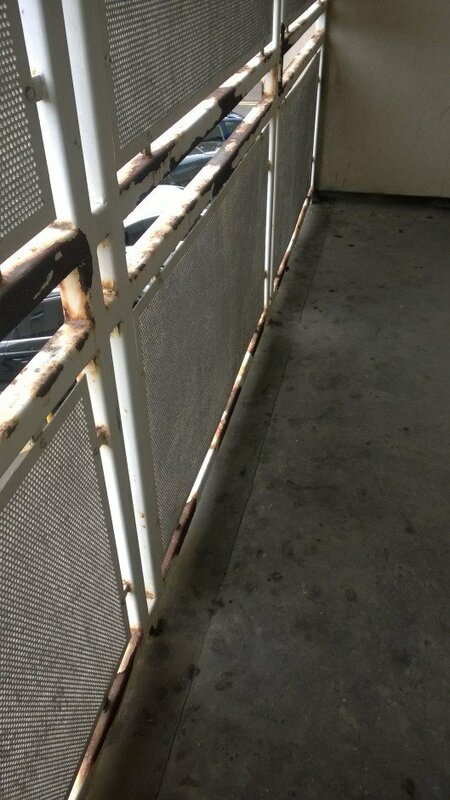 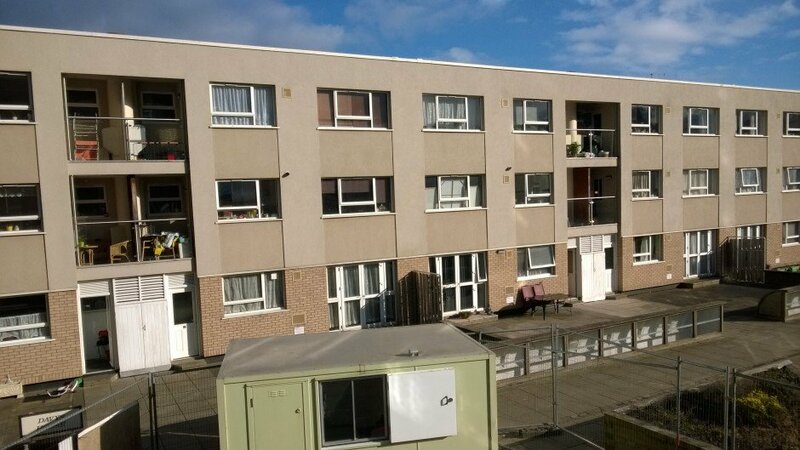 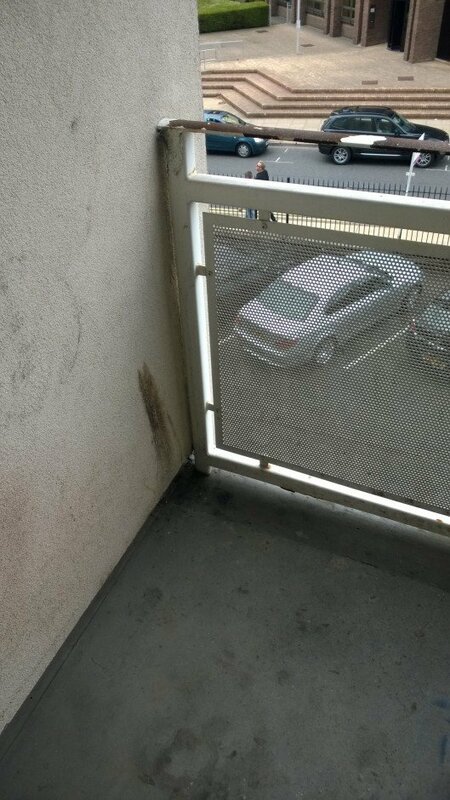 RWS added further value to the project by refurbishing the private balcony floors with an Alsan coating system, providing a non-slip and hard-wearing surface preferable to the previous dilapidated asphalt. 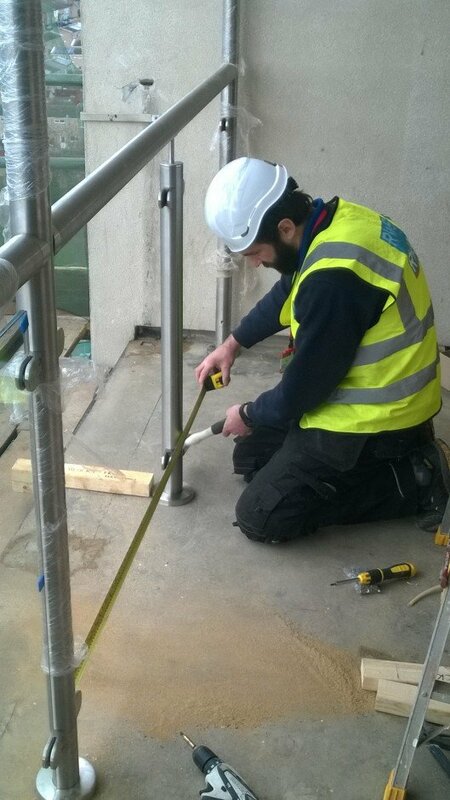 RWS Ltd are experienced in developing stainless steel balustrading systems for different applications including residential, commercial and industrial – both nationally and abroad. 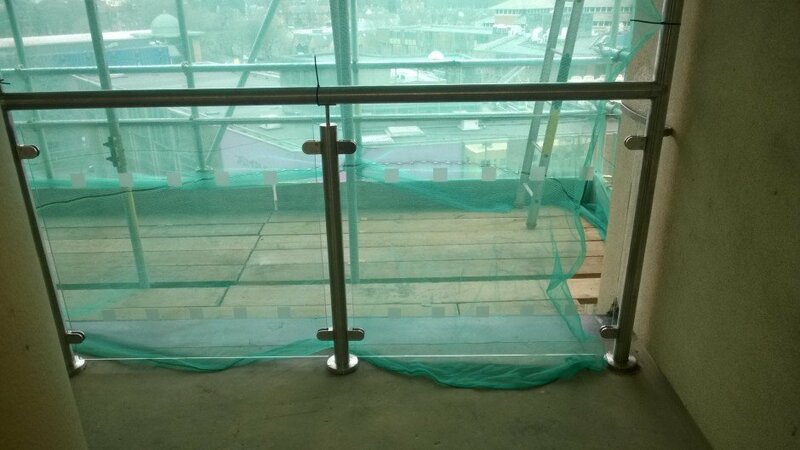 If you have a unique balustrade project that you would like to discuss, please don’t hesitate to contact us on 01733 351136 or via our website www.rwsltd.co.uk.